King Hyperion (Mickey Rourke) is a brutal tyrant on a bloody mission to seek out the mythical Bow of Epirus. Should he succeed, even the gods of Olympus will be forced to bow before him. In his efforts to locate the invincible and elusive weapon, Hyperion leads his Heraklion army on a brutal rampage across Greece, razing every town in their path, and killing with impunity. When the Hyperions lay waste to his village and cut down his mother in cold blood, vengeful stonemason Theseus (Henry Cavill) emerges from the rubble determined to make the king pay for his crimes. Later, the Sybelline Oracle, Phaedra (Freida Pinto), experiences a vision of Theseus' future that convinces her he will play a pivotal role in defeating King Hyperion. Armed with that supernatural knowledge, she agrees to help Theseus assemble a small army capable of defeating the tyrannical king and preventing him from enslaving the entire human race. From the producers of 300, the story of Theseus now grace our theaters starring man of steel, Henry Cavill. I'm so excited about this movie because (1) Henry Cavill is finally breaking out! I've been a fan since Count of Monte Cristo (2002) and he's the only reason why I was a devout follower of Showtime's The Tudors; (2) I loved 300 and if it's anything like that I'm sure the story and setting is dark and gritty and lastly; (3) I love Greek Mythology! Of course Hollywood took some liberties with the story but based on the trailer, the graphics looks awesome as well as the costume plus the cast is amazing! I know that Mickey Rourke will be an awesome villain. That will make up for the excessive poetic license. The movie is directed by Tarsem Singh, the same guy who directed The Cell (JLo) who is also the director for the yet untitled Snow White movie coming out next year starring Julia Roberts and Lily Collins. so keep that in mind before you say pass. But who is Theseus, really? He is one of Greece's most popular heroes. One of the most popular story about him is his adventure in Crete with King Minos, Princess Ariadne and the Minotaur. 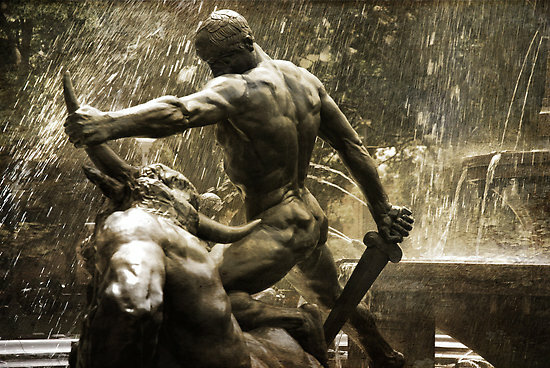 Like Perseus and Achilles, Theseus is a demi god, the son of the Sea God Poseidon, but raised among mortals. There are many stories about Theseus' adventures but my favorite would be his romantic entanglements. His first wife was Hippolyta, the Amazon warrior Queen and together they sired a son, Hippolytus. But soon forgot about her when he saw Phaedra. But Aprhodite cursed Hippolytus because he started worshipping Artemis, and made Phaedra fall inlove with him instead. But Hippolytus rejected Phaedra for several reasons primarily because of his vow of chastity. The jilted Phaedra concocted a lie and told Theseus that his son Hippolytus raped her and to avenge his wife, Theseus set off punishing Hippolytus by using his three wishes granted by Poseidon. Suffice to say that Hippolytus' remaining time on earth was nothing short of a nightmare. Like most Greek stories, this ended tragically and these three all died in vain all because of a capricous goddess. 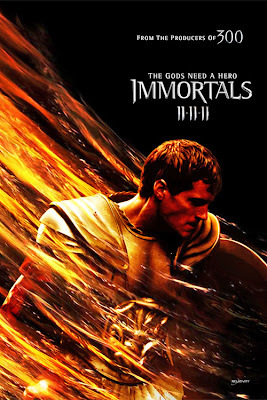 I saw Immortals this morning and it is incredible! The graphics were phenomenal and the action was non- stop. One of the funnest movies I have ever seen! Loved it, loved it, loved it!!!!! While CBT is halloween t shirts rarely an immediate or easy cure, it is relatively short term. Many CBT treatment programs for insomnia, for example, report significant improvement in sleep patterns following a course of 5 to volleyball shirts 8 weekly sessions.How does CBT work for sleep disorders?CBT addresses negative thoughts and behavior patterns that contribute to insomnia or other sleeping problems. As the name suggests, cognitive behavioral therapy involves two main components:Cognitive therapy teaches you to recognize and change negative beliefs and thoughts (cognitions) that contribute to your sleep problems.Behavioral therapy teaches you how to avoid behaviors that keep you awake at night and replace them with better sleep habits.Using a sleep diary in CBTTo identify patterns in your sleeping problems and decide on the best treatment approach, your therapist may start by asking you to keep a sleep diary.